Since 80% of our time now is occupied with our new staff, I guess there is no better topic choice for this post than our staff training. As in all businesses, the first weeks for new employees are spent learning about their new company and training how to perform the tasks required. The great challenge in our case is to conduct this training without having a restaurant ready where we could meet all our staff at once and go through all the topics they need to know and master before we open. But as they say, a challenge always gives you an opportunity to be creative and that is what we are doing. The first two weeks with no other space the training had to be held at home so we decided to focus on a small group: our management team. 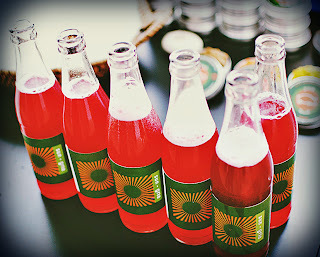 We introduced them to Cuca, the concept, the philosophy, our values, etc. Next step was to start reviewing and developing the systems necessary for everyday operations. Our intention was for the key team to be involved in this step as they need to understand and agree with the structure of the restaurant to be able to genuinely embrace it and explain it to their teams as something they themselves believe in. Since we did not have a space to put 45 people, we held the exam at the beach (oh Bali…. ) and once the examination was out of the way, we spent some time getting to know each other and teaching our staff techniques to work as a team through funny games. A well-deserved break after a week full of theoretical lessons. This week we face yet another challenge. Our contractor says we are still one week away from getting in the restaurant so how do we keep our staff motivated to continue learning without being able to practice? Remember that the type of persons working in hospitality are very active people, used to a quite physical job. To keep them sitting down in a room for very long while listening non-stop to someone’s speech will eventually stop being effective so we came out with a new plan for this week: we have rented a function room and set stations all around it. We will divide the class in groups that will rotate from station to station to meet a different leader who will explain one single topic for 30 minutes. When the gong goes off, the group rotates to a new station. In this way participants will be exposed to a new experience every 30 minutes: the space will change, the students will have to physically move, the teacher is different, the topic a new one. The idea is to keep the family awake! Well, we have plenty of ideas for this week but we really hope we can finally have a restaurant for the next one as we are all eager to move in to our new home! I had meant to write about our 4 intensive days in Jakarta a couple of weeks ago but our return to Bali is being so hectic that until now I haven’t had the chance to fill you in with the details of our trip. Some time ago we realized we should go to Jakarta to promote Cuca as many of the tourists coming to Bali are Jakartians taking a break from the big city. We could only leave Bali before we open as once we start operations we will have to be present at the restaurant for a while before our staff can handle service independently. The right opportunity presented itself when a friend of ours told us about a cute bazaar she organizes from time to time where vendors can showcase their very special products. We immediately thought of Cuca Salts and confirmed our attendance. 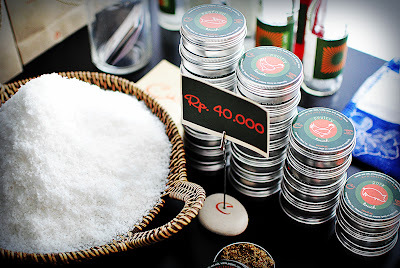 Since the bazaar was going to last 2 days, we decided to combine it with a couple of sessions to meet with contacts we had in Jakarta or friends of friends that were waiting to hear more about Cuca. We had lots to prepare and not having any equipment or staff available gave us no choice but to squeeze our brains and come up with a very simple but very unique program. Cuca Salts at the bazaar. The second part of our trip consisted of a couple of sessions to introduce Cuca. One of them was for expats living in Jakarta (a great friend of mine helped us with the invites as she loves food and so do her contacts) and the other one was for food bloggers and journalists. I must say we had a wonderful time with both groups and got enthusiastic reactions from the participants. The event started with an introduction to the concept of Cuca, followed by a very special master class called “Discovering Taste” (where we teach how to cook without recipes… More details to come in my next post) and we finished with a cocktail (Cuca’s Sun-gria) and our very unique Pop-corn Betutu. Betutu is a traditional Balinese dish consisting of chicken and spices. It’s hot, rich and extremely tasty. Our pop-corn version was a hit! Everyone was extremely interested and supportive and we feel very fortunate to have had the opportunity to meet great, passionate people who believe that Cuca will be a success. We left Jakarta energized and encouraged more than ever to fight for this dream. Friends, new and old, we are going to do everything we can to proof you right! 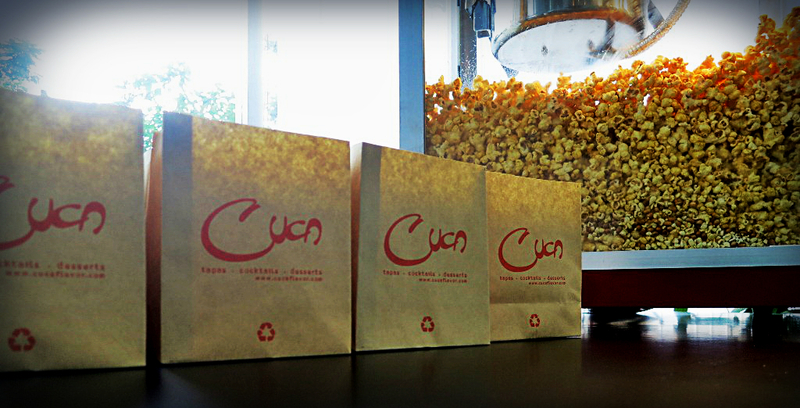 Cuca's Pop-corn Betutu. A hit!